The story of the “critical thinking” assignment in a California school goes on, ad nauseam. In today’s news, I read this article here. The photo shown below was included (in a smaller size) in the article. In the photo above, the prisoners have been partially covered by blankets because their pants had been pulled down, an indication that these men might have been killed by their fellow prisoners after the Germens left. The first Americans on the scene [on April 4, 1945] said that the blood was still wet. The liberators all agreed that these prisoners had been shot, although some witnesses said that they had been shot in the neck, while others said that they had been mowed down by machine gun fire. The American soldiers were told by Ohrdruf survivors that these prisoners had been shot by the SS on April 2nd because they had run out of trucks for transporting sick prisoners out of the camp, but there were sick prisoners still inside the barracks when the Americans arrived. The above quote, from my website scrapbookpages.com, is a prime example of why students should do some critical thinking, meaning that they should study both sides of the Holocaust issue, not just the Holocaust Believers side. If you still don’t get it, I will explain it more clearly: The American generals were told that these bodies were bodies of prisoners who had been killed by the Germans before they left on April 2nd. Yet the blood was still wet, when the Americans arrived on April 4th and the bodies had been covered by blankets to hide the fact that the bodies had been mutilated. 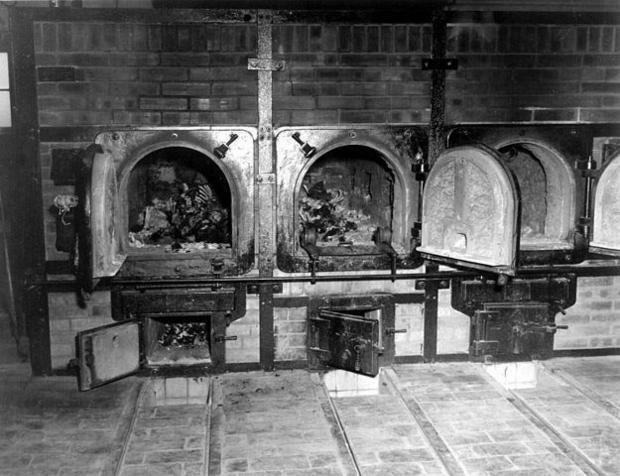 The story told by some of the escaped prisoners, who had come back to the camp, was that these prisoners had been killed by the Germans because they had run out of trucks to transport them to the main Buchenwald camp. The fact that this photo is shown in a news article, bemoaning the fact that students are required to do some critical thinking, shows that the whole Holocaust story is a bunch of lies and half-truths. The photo below is also shown in the article about critical thinking. “anti-Nazi German women”? 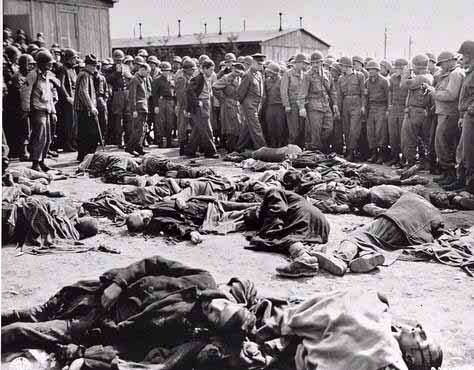 Buchenwald was a camp for men. There were no women at Buchenwald, even in the last days of the war. Another obvious lie, told by Holocaust Believers. In the last days of free speech in America, for Heaven’s sake, let the students learn all sides of the Holocaust story.